Is the rate I book the final price? Yes, the rate you book is always the final price inclusive of all taxes. Yes, the rate you book is always the final hotel price inclusive of all taxes. Do I pay any reservation fees to skibooking.com? No, skibooking.com do not charge any reservation fees at all! Are the prices shown on skibooking.com per person or per room? The price we show is for per room for the entire length of stay that you have selected for a certain guest occupancy that is written in the hotel’s profile, next to the room type on the left side. The extra guest occupancy that is stated in brackets is for extra beds or baby cots that could be offered at an extra rate depending on the hotel’s extra bed policy. Eg: 2 people (+2). The extra beds will be added on the price before you make the reservation when you select the extra adults. - Your personal data and credit/debit card details are encrypted. - Our secure server uses ‘Secure Socket Layer’ (SSL) technology, the online industry’s standard. Why do I need to give my credit/debit card details? Skibooking.com requests credit /debit card details to securely confirm your reservation with the hotel on your behalf. We will never charge your credit card. Your credit card may be checked (pre-authorized) from the hotel to ensure that it is valid and/or that sufficient funds are available. After the pre-authorization release, the full amount will be available to you again. The hotel will only charge your credit/debit card if you have requested a pre-paid room (non-refundable rate) or if the cancellation policy, found under ‘hotel policies’ and room ‘conditions’ has not been followed. Can I use a debit card to make my reservation? Yes, you can use a debit card to make your reservation, however bear in mind that the hotel has the right to pre-authorize your debit card up to the whole amount of the reservation, therefore you must be sure that there is enough money balance in your debit card account. When you make a reservation, there may be instances where the hotel will contact your credit (or debit) card company (or bank) to confirm that the card you are using is valid and has not been reported loss or stolen. At this time, they may also check to see if the card has enough money to cover the hotel reservation (usually for the amount of money according to the hotel’s cancellation policy but sometimes for the full amount of the reservation too). This is communicated in the form of a pre-authorization of the credit/debit card. The hotel, however, will not proceed with the charge. The time at which your card will be charged will depend on the terms and conditions linked to your reservation. What is the difference between a pre-authorization and an actual charge to the credit/debit card? Pre-authorizations are often confused with actual charges. Pre-authorizations are temporary holds for a certain amount of money. The length of the temporary hold varies and your credit card company or bank can advise you on how long it takes. Usually, the temporary hold is for 2 weeks; however it depends on your bank’s policy. How will I know if my credit/debit card has been pre-authorized? Your available balance will be reduced temporarily by the full or partial amount of your reservation depending on the hotel’s policy. You may also see “pending transactions” on your credit/debit card account summary. If you are not sure if your card had been pre-authorized, both the hotel and your credit card company can verify this. Your card provider can better explain this, along with the general terms and conditions associated with their pre-authorization procedures. These terms vary across the board, so it is best to contact them for specific details. Most common pre-authorization hold is for a 2 week length. Will the pre-authorization hold always equal the exact amount of my reservation? The hotel might pre-authorize your card for the full amount of your reservation or for the penalty amount regarding the hotel’s cancellation policy (eg: first night’s rate or a percentage on the total reservation), or they might not pre-authorize it at all. Which credit/debit cards can I use to complete my reservation? Some hotels also accept other credit/debit cards, such as American Express, Maestro and other. You can see which credit/debit cards a hotel accepts in the hotel’s profile, under the payment policy section. Can I make a reservation for myself using someone else’s credit/debit card? Yes, you can but only if you have permission from the card holder. Please state this in the "remarks" box when making your reservation. The hotel may require authorization from the card holder. Please also note that in the case of a no-show reservation or late cancellation, any penalties occur will be charged to the card that has been provided to the hotel. The hotel has charged my credit/debit card, what should I do? Skibooking.com do not charge your credit/debit card - Please check the payment conditions in your confirmation email to ensure the charge is not just part of the hotel’s reservation policy. If you feel you have been charged incorrectly, please contact the hotel directly. The credit/debit card I used for my reservation is no longer valid, what should I do? Please contact the hotel directly. You can find their contact information, in your confirmation email. For security reasons, never provide your credit card details by email. Alternatively, you can cancel the reservation and make a new one. Can I make a reservation without a credit/debit card? Reservations without credit/debit card are not allowed as they do not guarantee your room reservation. Am I obliged to pay with my credit/debit card? No you are not. You can pay in the hotel by cash as well. Bear in mind that according to some hotels’ policy, they require a credit card as guarantee of reservation, but they accept only cash payments. I am entering my credit/debit card details, when will I pay? Skibooking.com will never charge your credit/debit card. The payment for your stay is processed by the hotel during or after your stay, unless otherwise stated under ‘Hotel Policies’, in the hotel’s profile and in your confirmation voucher. Most hotels do not require an advance payment or deposit, unless it is a non-refundable special price deal with no cancellation rights. Some hotels however do so. If they do you will find the details under ‘Hotel Policies’ in the hotel’s profile on skibooking.com page and in your confirmation voucher as well. It depends on the hotel. Please contact the hotel after your reservation to be sure, and to make the necessary arrangements. You can find the hotel’s contact information in your confirmation voucher. Am I obliged to pay with the credit/debit card I used for my reservation? No you are not. You can pay in the hotel by cash as well. Bear in mind that according to some hotels’ policy, they require a credit/debit card as guarantee of reservation, but they accept only cash payments. I will be arriving earlier/later than the stated check-in time, can I still check-in? Usually this is not a problem, you can arrange for an after-hours check-in with most hotels. However, you should always confirm with the hotel. You can use the ‘Special Requests’ box in the booking process to inform them of your estimated arrival time in writing. Once you’ve received your confirmation you can follow-up with the hotel directly using the contact information provided. Check-in and check-out times differ for each hotel. You will find them on the "Hotel Policies" section at the bottom of the hotel’s profile, as well as in your confirmation email. I want to check out after the stated check-out time, what should I do? A late check-out can only be arranged with the hotel and usually depends on availability at the time of your stay and on the hotel’s policy as well. You can ask about the possibility at reception upon arrival. As soon as you have completed the booking process the confirmation page appears. This page shows all of your reservation details. We also send you a confirmation email with all your booking information. Please carefully check the inbox and the spam/junk folders for the email address you provided when making the reservation. If you still cannot find the confirmation e-mail, please contact us to resend it to you. Can I cancel or change my reservation through Skibooking.com? Please, remember to check the hotel’s cancellation policy before making any changes to your booking. Please note that non-refundable reservations cannot be cancelled. Room specific cancellation policies are included in every hotel’s room type details, which you can notice by clicking on the arrow next to the hotel’s room type. If I need to cancel my reservation will I pay a cancellation fee? Cancellation policy varies from hotel to hotel. You can check what any hotel’s policy is and whether they are allowed to charge a cancellation fee, at the bottom of the hotel’s profile page. Relevant information is also included in your confirmation email. Please note that non-refundable reservations cannot be cancelled. Room specific cancellation policies are included in every hotel’s room type details, which you can notice by clicking on the arrow next to the hotel’s room type. The cancellation policy of the hotel is clearly stated in the hotel’s profile at the bottom of the page under the cancellation policy section. Can I cancel a non-refundable reservation? 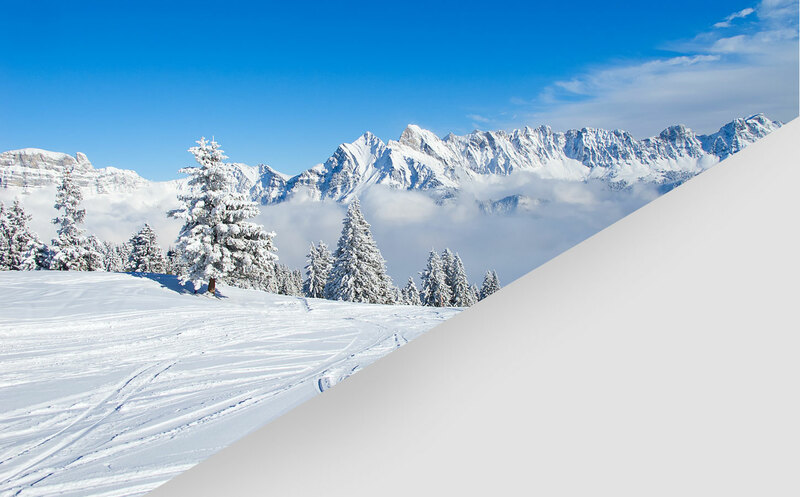 Once you have cancelled your reservation by emailing us on customer.service@skibooking.com you should receive within a day an email confirming the cancellation. Please check your inbox and spam/junk mail folders. If you do not receive an email please contact us by phone or e-mail. You can see the hotel’s address at the top of the hotel’s page on skibooking.com. It is also included in your confirmation voucher. - In your confirmation email you are provided with a link to a route planner, with the hotel’s details already entered - just choose your starting point.